Brand new breakthrough technology. Radical new type of submarine concepts. Recent years have seen a rapid increase in surface shipping operations in Arctic regions but nothing has been done for the sub-sea commercial shipping. 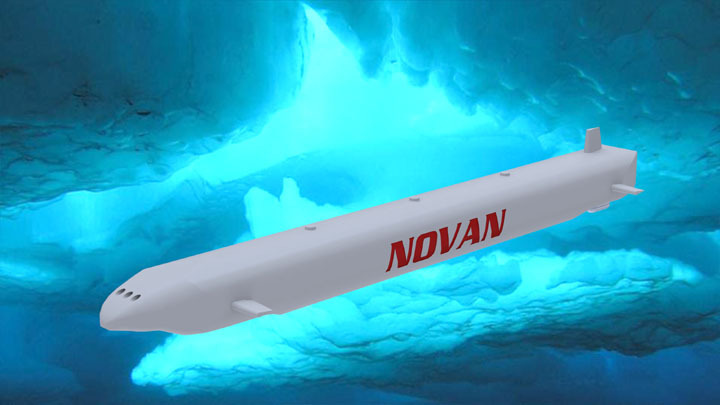 New submarine technology to open up the Arctic Ocean's fabled northern passage for year around commerce is now technically feasible. The voyage above the ice is extremely difficult exacerbated by: extreme low temperatures, short warm season, thick icing of exposed topside equipment, changing ice cap movements, and a lack of suitable rescue search operations. 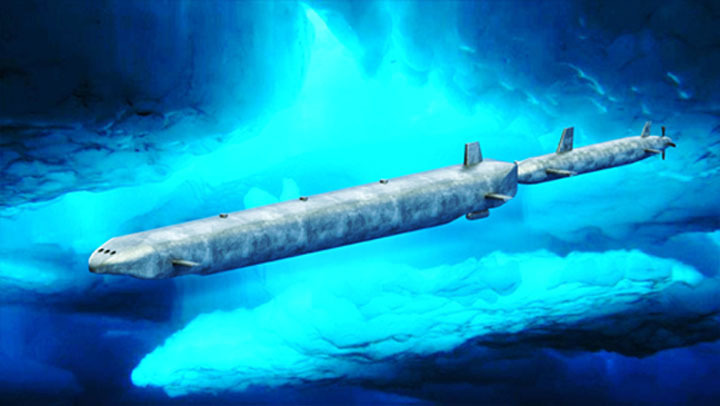 Faster cargo submarines, using direct routes across the Arctic Ocean would require less power and fuel could provide a greater economic advantage than larger more powerful surface ships. There is a beautiful relatively warm "above freezing" ocean just under the thin ice cap that covers the Arctic ocean that could be used for many types commercial transportation possibilities. Transporting chemical and petroleum products such as LNG would be ideal for this type of shipping. This submarine cargo system above shows the submarine being pushed by a nuclear powered submarine. It is using the propulsion and electrical power generated by the submarine's nuclear energy. The cargo submarine can travel under its own diesel/electric power when conditions are suitable. The "submarine tanker system" is designed to deliver mainly liquid products such as LNG cargo beneath the Arctic Ocean's ice cap and elsewhere. It only has to be submerged deep enough to avoid striking the ice above. Since the sea ice cap is not that thick the cargo sub's hull only has to be strong enough to withstand relatively low depth pressure. The picture above shows a submarine tanker cargo ship using the latest cutting edge technology that can operate submerged for extended periods of time.